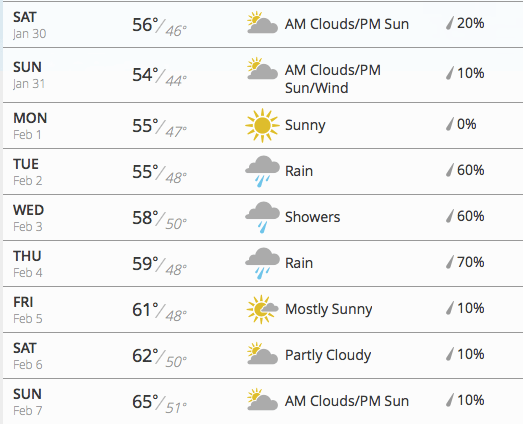 This upcoming week is a big one for the SF/Bay Area. If you didn’t already know (because you must be living under a rock), we are planning to host to one of the biggest events in sports, SUPER BOWL 50! 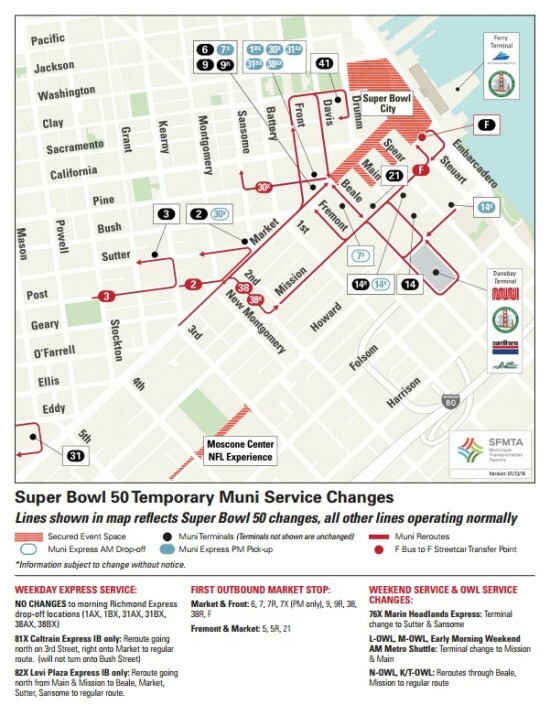 Although the actual Super Bowl game will be held at the new Levi’s Stadium in Santa Clara, SUPER BOWL CITY, a free-to-the-public fan village, will be located at the Justin Herman Plaza in SF. It will feature family-friendly activities for fans of all ages and will be the epicenter for all of the fan energy and excitement. And because we here at ABCey love planning things ahead of time (of course), we wanted to make sure you were in the know about what to expect during this momentous time. THE FAN DOME. This 40-foot tall dome will be the place where fans get a chance to live out their sports dreams. There will be interactive games on giants screens and fans’ movement will be replicated by motions sensors that light up the Dome. Talk about innovative. THE FAN WALL. This 50-foot wide x 15-foot tall video wall will capture the visual and virtual buzz of Super Bowl City. It’ll show the leader boards and stats from Fan Energy Zone games, display user-generated and social media content and even stream live video feeds from around Super Bowl City. THE FAN STAGE. This “live” area of the Fan Energy Zone will be the hub for celebrity appearances, autograph signings, Djs and MCs. 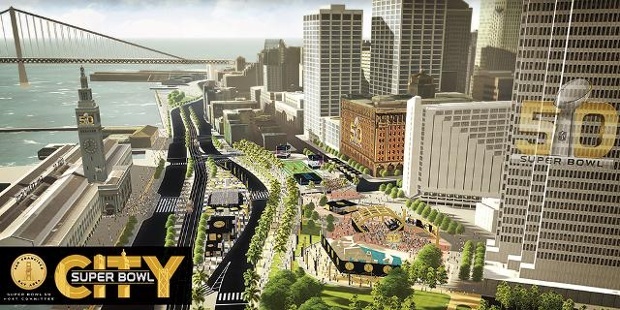 This stage will be located in Sue Bierman Park inside Super Bowl City and will showcase live musical, cultural, and performing arts entertainers. It will also feature headlining performances from Alicia Keys, One Republic, The Band Perry and more! And it’s all FREE! Located in the Moscone Center, this will be pro football’s interactive theme park celebrating the history of sports and the Super Bowl. It will include: interactive games, NFL Play 60 Zone for the youngest of fans, and meet & greet autograph signings with current and past football players. You’ll be able to get an up-close look at previous Super Bowl championship rings and have the chance for a photo-op with the iconic Vince Lombardi Trophy. It will also house the largest NFL shop offering official NFL limited-edition Super Bowl 50 merchandise and NFL products. This app right here will be your Super Bowl 50 survival guide. 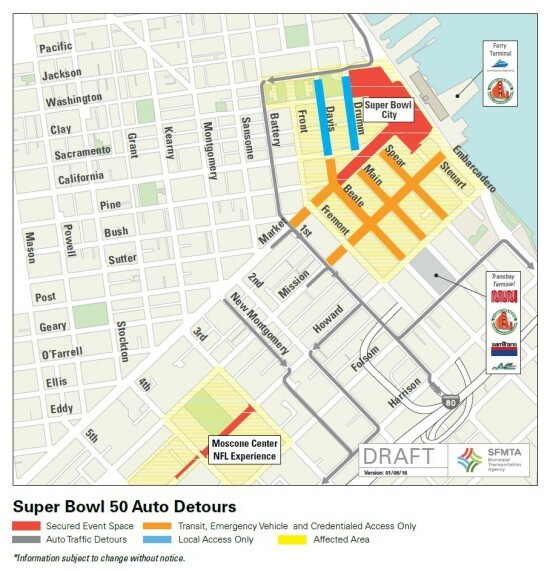 It will outline all of the celebrations happening around the Bay Area detailing the schedule of events, hours, ticket info and an interactive map. It will also feature location-based alerts, transportation info, photos and videos. The coolest part of the app is the Fan Mobile Pass. If you check-in at certain activities you can collect badges, unlock exclusive content and even be entered for a chance to win tickets for Super Bowl 50! Of course, this guide is only scratching the surface of all the incredible events happening during the next week. For the complete, extensive list head on over to the official Super Bowl 50 website. How excited are you for Super Bowl City and Super Bowl 50? Let us know in the comments below or on Facebook and Twitter!